El día de 6 de Mayo, es un día muy memorable para nosotras, pues celebramos el aniversario de nuestra Congregación. Con mucho gozo, nos hemos reunido en esta ocasión. 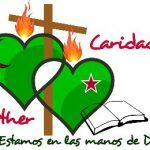 Hoy, cuando miramos la historia de nuestra Congregación, queremos expresar a Dios nuestra gratitud por nuestra Espiritualidad: Interioridad, vida fraterna vivida en comunidad y servicio de la Iglesia, y por el Carisma que nos permite vivir en comunidad en los diecisiete países donde estamos presentes. Somos privilegiadas por ser como Agustinas Misioneras en la tierra de Filipinas donde nuestras fundadoras vivieron la sed de servir a este pueblo. 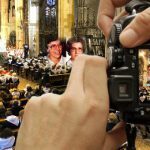 Como hijas de San Agustín, con alegría y gozo, hemos iniciado la celebración con una creativa oración en la comunidad y seguimos con la Eucaristía precedida por Rev. June. P. Andaya, Obispo de Kalinga. La celebración fue muy bonita. Usamos los materiales que recibimos del Gobierno General, y el Obispo valoró mucho nuestra presencia y testimonio. Este día nos acompañó la Hna Asunción Vegas. Después de la misa, compartimos la mesa con todos los presentes. 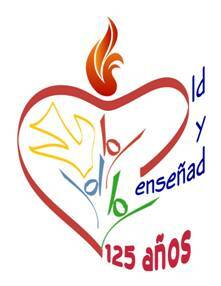 May 6th was a very memorable day for us because of our 125th anniversary of the congregation. With great joy, we assembled together as a community to celebrate this occasion. 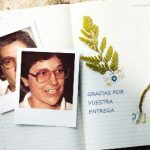 Today looking at our history, we can proudly express our gratitude that the pillars (Interiority, Community Life and Service to the Church) support and cross our spirituality which are alive in the sisters and in every community of the seventeen countries in which we are present. 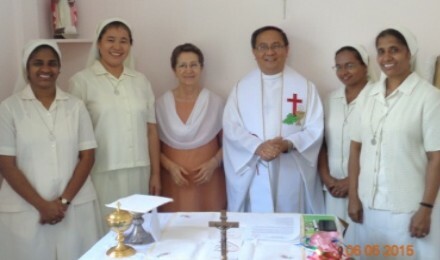 We are privileged to be in the land of the Philippines where our foundresses began to thirst to serve this people. As daughters of Saint Augustine with full of joy in our hearts we began our celebration with the innovative prayer in the community and as the highest form of prayer is Holy Eucharist. Rev. June. P. Andaya the Bishop of Kalinga celebrated the Holy Eucharist, the liturgy was very creative, we followed the liturgy send by the general government. The bishop appreciated our presence in this vicariate and each sister ministries entrusted to us. He welcomed sister Asun to Tabuk and her inspiring presence. 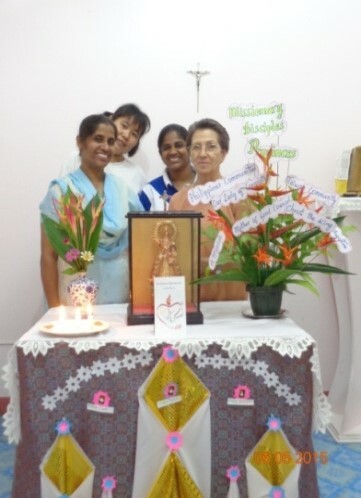 We as a community were very thankful for the presence of sr. Asun and her missionary Spirit, through her sharing all of us were inspired and stimulated in us the missionary Zeal and enthusiasm to be vibrant Augustinian missionary sisters. We had fellowship meal with Bishop and His nephew. Due to some other celebrations the lay friends could not join us but they wished us. Sr. Asun distributed our calendar to bishop and our lay friends and some of the college students who show lot of interest in knowing about our Congregation. Bishop was very happy to know that we are well spread qualitatively in the service of the people. And in the evening we had creative liturgical vespers, where in we gave thanks to God for every countless blessings because he has accompanied us in our history, between lights and shadows and he has given us the strength of his Holy Spirit, to renew ourselves according to the signs of the times and the exigencies of the Charism of our congregation. 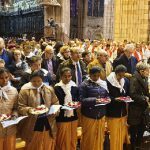 I enclosed here with some of the pictures which we have taken during the Holy Eucharist and the same day visiting the colleges and school where we.